Thanks to YOU! We were selected as a 2018 St Louis Best in Quality company! News » Awards » Thanks to YOU! We were selected as a 2018 St Louis Best in Quality company! 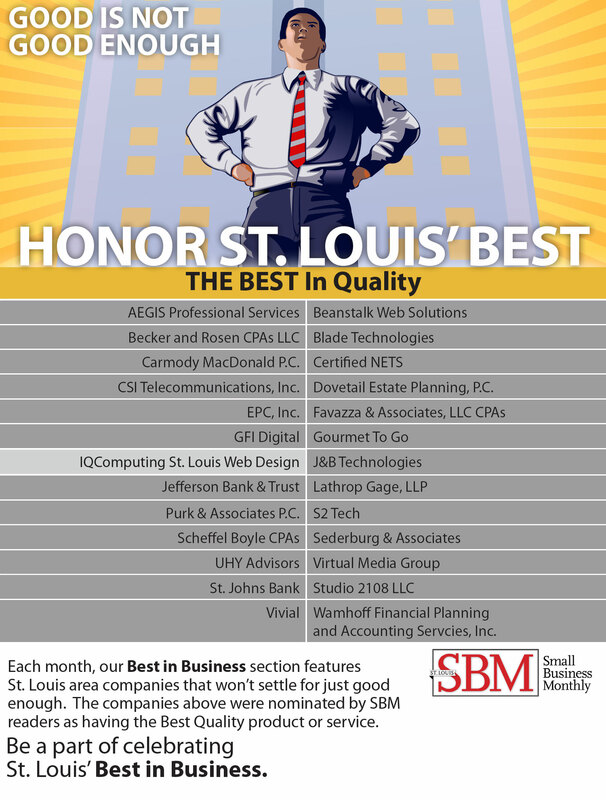 For the ninth consecutive year, IQComputing has made the “best in” list from the St. Louis Small Business Monthly! This year we were selected as a “Best in Quality” company.